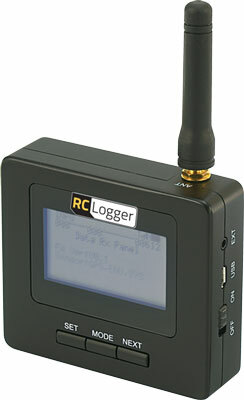 This product is intended for using it in combination with the RC Logger LC (not included) to provide connection between the RX module and TX module (available separately) to receive telemetry data provided by the RC Logger LC's attached sensor add-on modules. The received data are displayed in real-time during flight or movement of your RC vehicle. The RX module can be fitted onto most radio systems easily and additionally includes a DIN size tripod socket (tripod available separately). 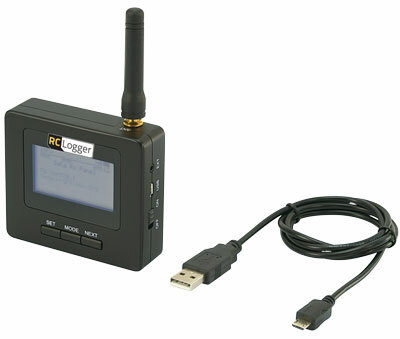 The 2.4 GHz RX module uses a unique frequency technique to provided interference free data transmission without compromising with your radio system even if mounted in close proximity to your RC radio system. 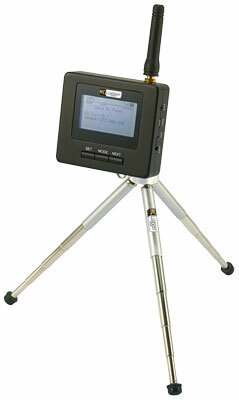 The 2 inch dot-matrix display includes a back light to ensure good performance even in difficult light conditions. The module is powered by an internal battery which can be charged via the micro USB port. Position detector (Crash site finder) included. Never ever worry about loosing your airplane or helicopter again. 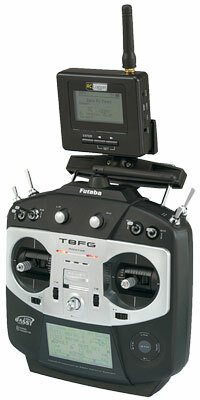 In combination with the GPS module the RX module indicates the last known position before your RC model has been lost. The RX unit will indicate the distance and direction of last recorded coordinates in relation to your reference position (set at take-off). This feature is very useful since the unit records data with a 5 Hz sampling rate hence even just before impact the data is being recorded.